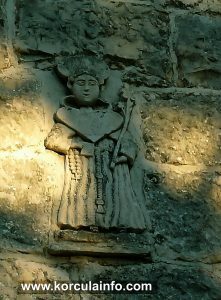 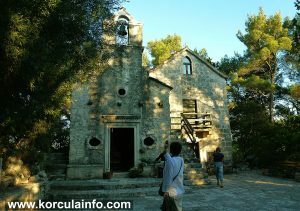 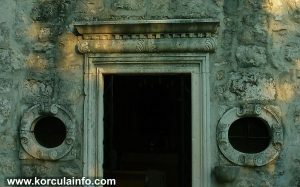 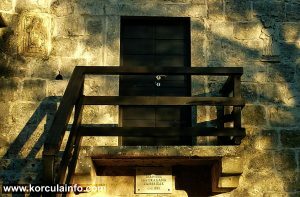 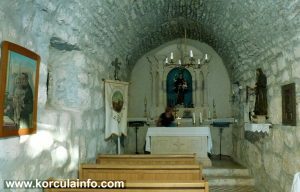 St Antony’s Church (Crkva Svetog Antuna) – located in Sveti Antun suburb, just about 30 minutes walk from Korcula Old town on the way to Lumbarda. 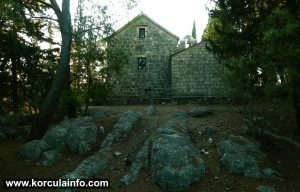 The church, dating from the 14th century is located on the top of the hill in the centre of the small paved square. 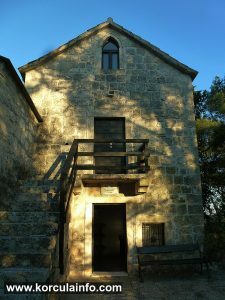 Approached by 102 steps along the avenue of cypress trees planted in 1708, this church is dedicated to St. Anthony of Padua. 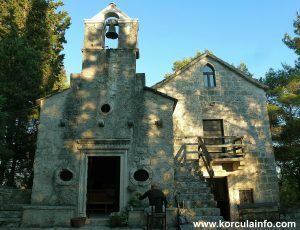 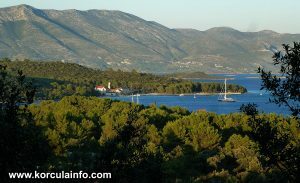 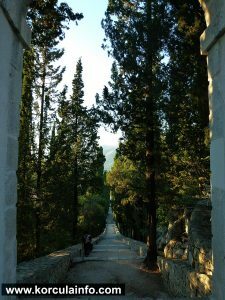 There is a nice space behind the church with a couple of benches from where one can have the most beautiful views over Korcula archipelago and surroundings.